Built in 1896, much younger than the famous TUIGA, NAN is part of the number of yachts built by the Fife’s family. William Fife known Fife Junior (1857 – 1944) at the head of the shipyard in 1885 assured the design and the carrying out in Fairlie situated at about 30 miles from Glasgow. 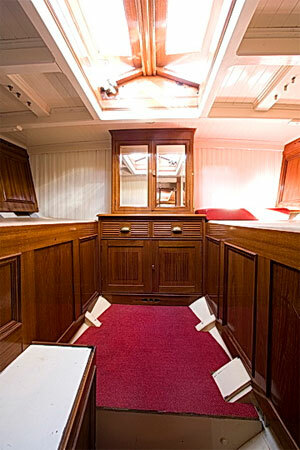 NAN had been ordered by Mr Thomas Burrowes, an Irish already owner of other sailing yachts. 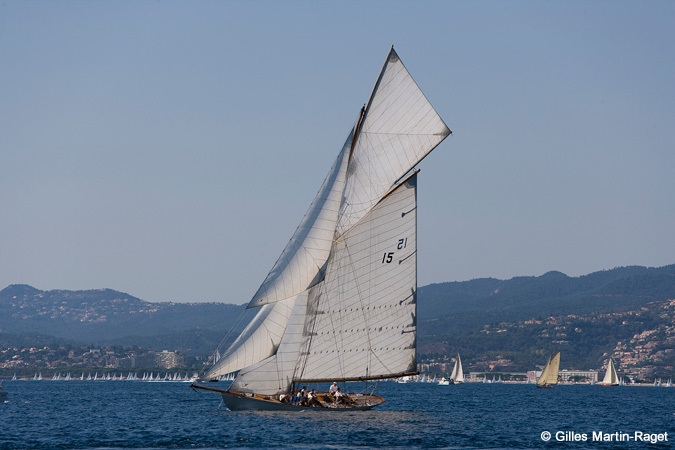 NAN is the oldest brother of the fabulous yachts designed by W.Fife junior, and the oldest to sail at this day. In 1998, Philippe Menhinick rediscovers NAN which belonged to his grandfather from 1948 to 1952, his grandmother sold her wedding ring to fiNANce the mainteNANce of the yacht in 1951 and sadly he sold it in 1952 as he could not afford the mainteNANce. It is then that started a difficult enthusiastic adventure to give life to a classic yacht more than a hundred years old, of 20 meters on deck and more than 300 m² of sails. Two years later NAN finds back all is “grandeur”, and you can admire NAN such as it had been built by the Fife Shipyard more than a century ago.